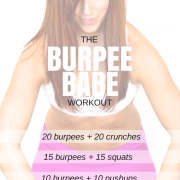 You wake up to find all bloating and belly fat completely gone. All that extra fluff is nowhere to be found, and instead you’re looking down at a firm, toned waistline that you’re actually proud of. This feeling makes you feel confident in your body. It makes your clothes fit and feel better. … Which all in turn makes you feel proud and sure of yourself in the way you show up in life. 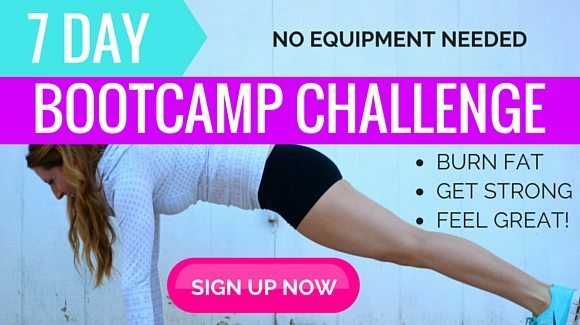 I used to think so too until I started implementing these 7 simple techniques for cutting belly fat quickly. And to be clear, this isn’t just about the way you look. Belly fat and midsection bloating can be a signal of dangerous health conditions and poor nutrition. This information is super important. 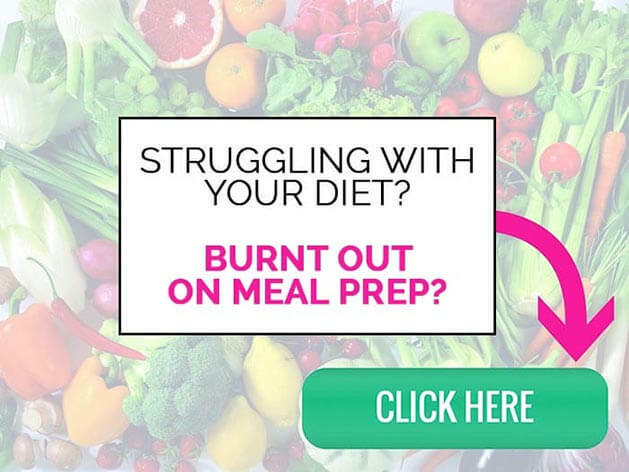 … Not only to help you reduce bloating & jumpstart your results, but also to help you control your overall health! Lemon juice aids digestion by flushing out toxins within your digestive tract. It can also help with bloating and indigestion, as well as reducing inflammation. Also, adding citrus to your water in the morning can help get your body into a more alkaline, balanced state. When your body is “alkaline,” in other words, when your internal cellular pH balance is optimal, it operates more efficiently. This is the opposite of an “acidic” internal environment. An acidic internal environment is basically a breeding ground for disease, inflammation, excess fat storage and overall illness. 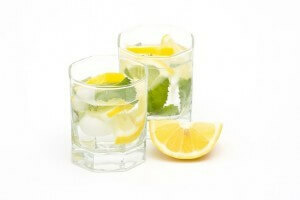 So adding citrus to your water will help you stay balanced, clear and healthy while promoting extra fat burning! 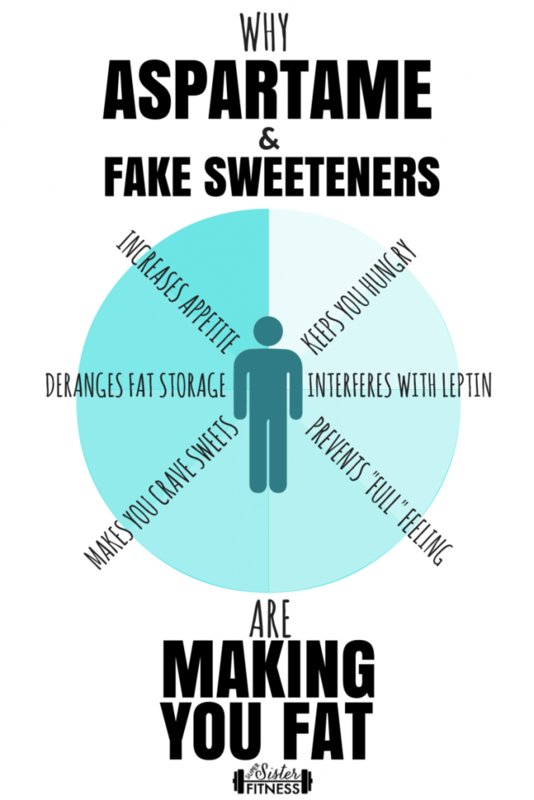 Stray away from fake sugars (i.e. aspartame, sucralose, Splenda, acesulfame potassium, etc) and other processed foods. These “food-like” items actually contain really harmful artificial ingredients that raise blood sugar & increase fat storage around the midsection and thighs. Instead, when you’re craving something sweet, reach for some fresh fruit. Or if you want something savory, snack on some carrots & celery with hummus. Stick to the peripheral aisles of the grocery store and avoid “fake” boxed foods as much as possible. Always load up on natural, whole foods — buying organic whenever possible — and food prep them (i.e. wash, chop and store in visible, reachable tupperware containers) as soon as you get home! One of the best ways to banish belly fat forever is to eat a plant-based diet. This does not necessarily mean you need to be vegetarian or vegan. 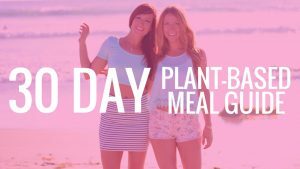 If you need help figuring out how to eat more plant-based, check out our 30-day Plant-Based Meal Guide. 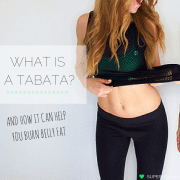 On a plant-based diet you will be providing your body with the essential vitamins, minerals, antioxidants, and electrolytes it needs to maintain a naturally lean body without counting calories. That means you can eat as much fresh fruit, vegetables and greens as you like! No more need to count calories or obsess over the numbers. Phew. Just stick to real, plant-based foods and pay attention to your body’s reactions to them. Over time, you’ll see and feel the difference. 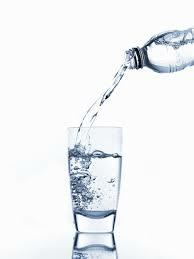 Each day, you should aim to drink at least half of your bodyweight in ounces as your minimum water intake. So for example, if you weigh 180 lbs, you need at least 90 oz of water daily. Staying hydrated will help aid in digestion and it also helps the body flush any harmful toxins that may be draining your energy. Plus, drinking enough water can also help curb mindless eating when you’re not actually hungry. Eating at least 20 grams of fiber per day can greatly decrease fat around your midsection. Try to include fiber-rich foods like fruits, veggies, legumes, beans and whole grains at each meal. Drinking green tea every day has been shown to increase metabolism and fat burning, especially around your waist. In fact, fat oxidation (aka the burning of fat cells) was increased by 17% in one study. Both dairy & gluten are hard for your body to digest and can cause inflammation and bloating. Removing dairy and gluten from your diet for a period of time can help aid digestion and increase fat burning. Obviously to get the best results, you’d ideally cut these two inflammatory foods out for good. But not everyone is ready to go that far, so try it out for a few weeks and see how your body adjusts. 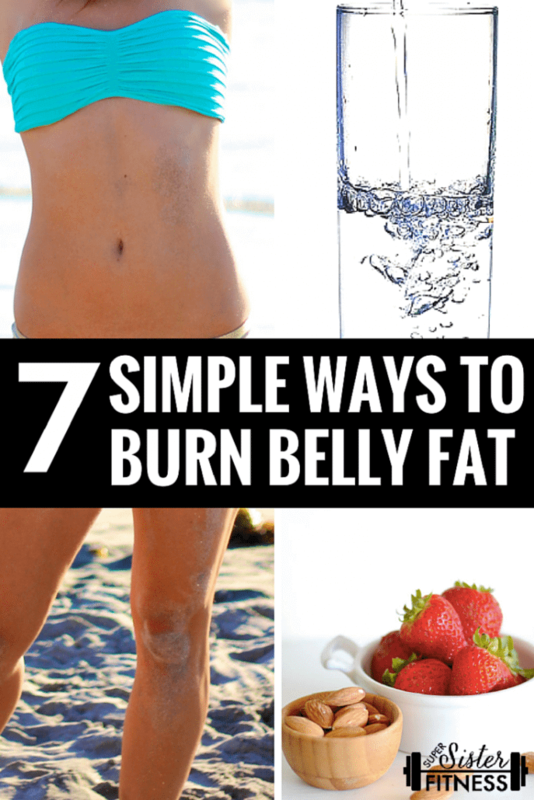 You’ll also want to make sure you’re eating the right kinds of fat burning foods throughout this process. Not all foods are created equal, so we compiled this list for you of the Top 22 Fat Burning Foods. Use this list to get a sample of the types of healthy snacks you should be eating as you work towards your goals. At the bottom of that post, there’s also a free Printable Grocery List you can take to the store with you to stock up on detox fuel! Stick to these foods in abundance and you’ll be on the fast track to success. 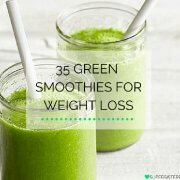 We also encourage drinking at least one Green Smoothie every day. This will help you to get an extra blast of vitamins, minerals, nutrients and hydration daily. We know “healthy eating” isn’t always easy, so we’ve compiled a list for you of simple, delicious recipes to help you get started. 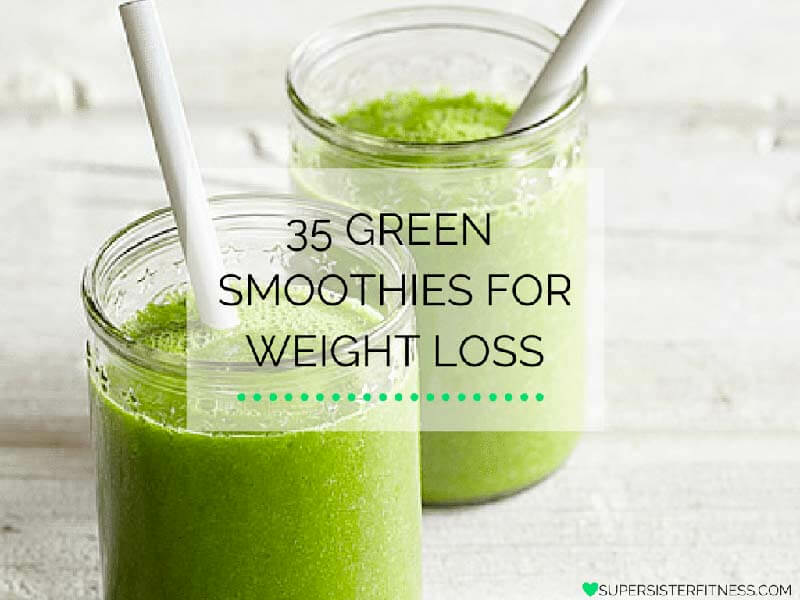 Here are our top 35 favorite green smoothie recipes! And last but not least, we highly encourage you to eat something whenever your body tells you it’s hungry. It’s extremely important to stay in touch with your internal hunger signals while making any changes in your diet and exercise routine. Your body is smart, and knows what it needs. … But it’s up to you to listen! Look for an array of colorful, portable, nutrient-rich, plant-based snacks that you can keep on hand. Keep your blood sugar levels stable and avoid binging behaviors by keeping your body fed! 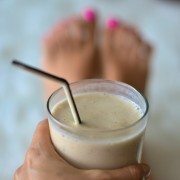 If you stick to the foods listed in the above post, along with including at least one green smoothie per day, you should not have to obsess over counting calories. All of these plant-based foods are considered very clean, nutritious and wholesome! If you get hungry and need something “quick” or on-the-go, feel free to enjoy any fruits or veggies you’d like! 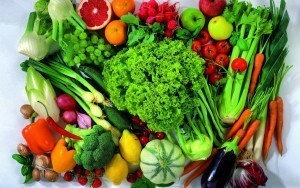 There are no limits on the amount of fruits & vegetables you can eat in a day. Don’t forget to use #gobikini on Instagram to check in with us daily. Excited to get the ball rolling with you! 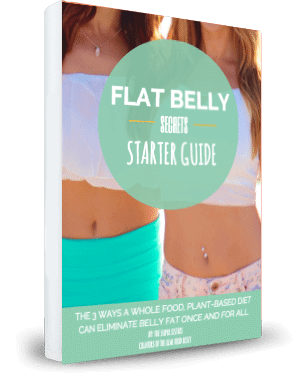 Download a copy of The Flat Belly Starter Guide below. 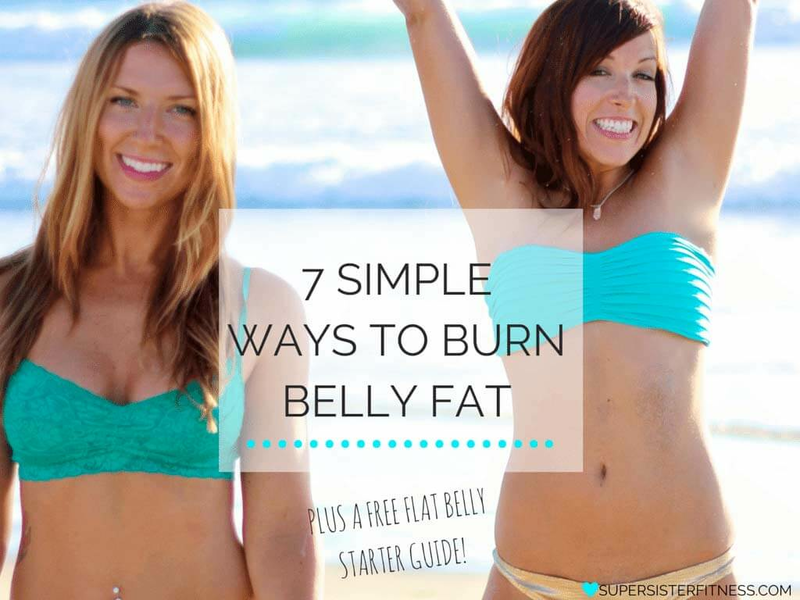 This free guide will help you learn more about an array of belly fat burning foods. 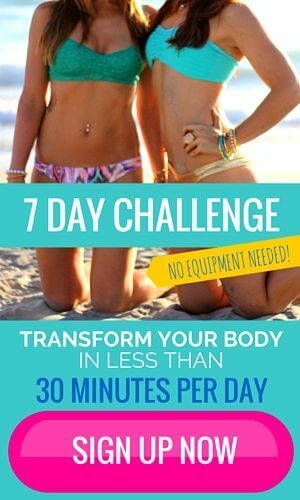 Included inside is also a simplified shopping list and details to help you start seeing results in as quickly as 7 days.